Don't miss this trip! You will get more experiences to see local life, impression in Chachoengsao that you have never seen it before. Boating by you own at coconut farm, pray to Buddha statue in the oldest temple and fame. Taste local food at the floating market. Let's take a journey together! Arrive at Chachoengsao. Let's start your trip! 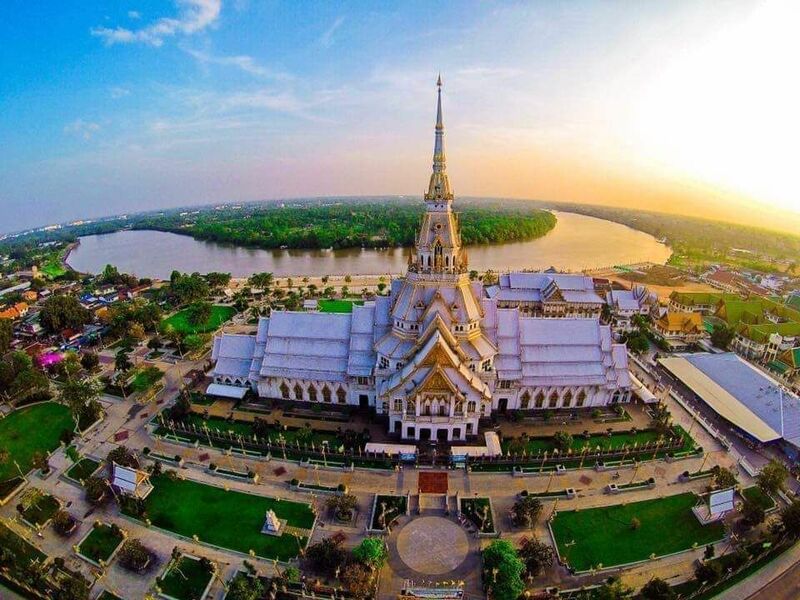 Pray and sacred bless with oldest and fame temple in Thailand is "Wat Sothon Wararam Worawihan". It is so peaceful, unique and beautiful. Boat trip along Banpakong river to popular 100 years old floating market names "Baan Mai market". Taste a lot of Thai foods like local street food and sea food and we will have lunch here! Visit "Wat Saman Rattanaram" pray and sacred bless to "Big Lord Ganesha". It is recommended place to visit the largest Ganesha and big lotus in the river. Next, we will head to golden temple names "Wat Praknam Jolo" stunning architecture, interior and exterior of temple all gold. Let's have local experience at coconut farm. You can take a boat by yourself. Taste all of coconut menu such as juice, jelly and milk and if you still are hungry, you can eat local food in here. Head back to Bangkok. Hope you enjoy and feel impressive for this trip. Big deal! One time in your life to travel and eat like local. Get more experiences every place in this trip. It is unique, popular and valuable place. Don't miss out! Our tour gave us a great experience of the markets in Thailand as well as the Buddhist religion. Our guide taught us a lot about Buddhist rituals at all the different temples we visited, going over some of the symbols and their meaning as well as what to do. We had a great lunch too and relaxing time at the coconut farm. Altogether a wonderful experience!